Arguably, wedding has always been one of the ceremonies that people cherish most, and it’s one of those that probably won’t go away for the rest of time. 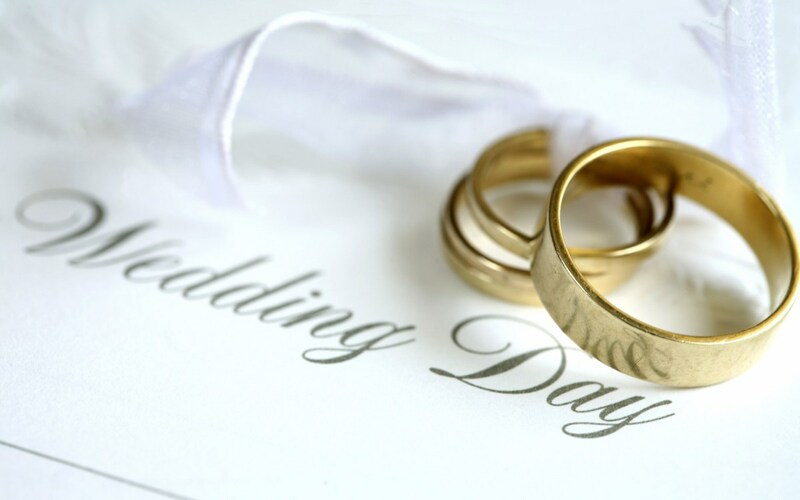 Its significance is not just because it formally heralds the beginning of a matrimony, although that is significant, it is also because it is an important event that the people taking part in it are fully aware of. In christening, though the baby is alive, he or she may not be totally aware of the hapenings around them, while the dead are assumed to be unaware of their burial ceremonies. Interestingly, being a ceremony that marks the beginning of a lasting togetherness, the way and manner people go about it depends largely on the culture and tradition of the area they, especially the woman, hail from. On a cursory look at the way wedding ceremonies are held in some other climes, while it is capital intensive in some, it is purely ceremonial and cultural in some places and yet in some other places, it is held briefly. Also, in some places, it is a one-day event but in some other places, it is multi-day event, each with its attendant cost. For example, in Japan, the bride is painted pure white from head to toe and she and the husband become husband and wife once they drink sake (Japanese rice wine) together. In Jamaica, wedding is a community affair as everyone comes together to help in the planning and they all gather to see the bride and they assess her outfit. In Germany, the ceremony is done in three parts and it is capital intensive, while in Cuba, it is an expensive ceremony and any male guest who dances with the bride is expected to pin money to her dress to help the couple pay for their honeymoon. However, in Nigeria, wedding is largely seen as an expensive venture, as it is done in three stages, the first being traditional wedding (or engagement) the second being the formal aspect, whether in church, mosque or at the registry, and the third being the reception. While the traditional is seen as sacrosanct, the third stage, which is hosting people at a reception, seems to be the most expensive. And because of the cost of the ceremony, some people delay or shy away from wedding. Talk to a credible event planner: It would appear that one good way to have a beautiful, low-cost wedding would be to talk to an event planner, who would help to reconcile the couple’s expectations with what their budget could cover. Adeyemi said this should come after both families have agreed on what they want, adding that even though people run away from engaging the services of event planners, erroneously thinking they couldn’t afford it, taking that step is the way to go. She said, “The planner would tell you the best venue that would save you cost in terms of logistics. For example, you could get a venue in Magodo for a higher price, but the logistics and the decoration could be cheaper due to access, while a cheaper hall in Abule Egba could attract higher cost of logistics and decoration. So, talking to a planner helps to put things in perspective and save cost. She added that a caterer or professional event planner would also make use of professional security personnel to keep away miscreants and other unwanted persons. Just as Davey suggests that such persons should consider using open spaces, parks or beaches, to avoid paying for halls, Adeyemi said for any event in an open space, there should be provision for security.